Governor Terry McAuliffe today announced the recipients of fiscal year 2016 farmland preservation grants. 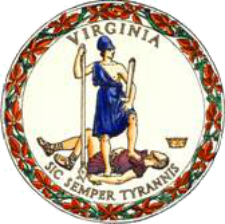 Six localities have been awarded almost $2 million from the Virginia Department of Agriculture and Consumer Services (VDACS) Office of Farmland Preservation. Localities must use the grant monies to permanently preserve working farmland within their boundaries through local Purchase of Development Rights (PDR) programs. PDR programs compensate landowners who work with localities to permanently preserve their land by voluntarily securing a perpetual conservation easement. VDACS allocated $411,890 each to the counties of Albemarle, Fauquier and Stafford, as well as the City of Virginia Beach. James City County will receive a $307,889 grant and Clarke County will receive a $42,319 grant. These grant allocations bring the total allocation of state matching funds to more than $11.4 million since 2008 when PDR funds were first distributed. This is the ninth time that the Commonwealth has provided state matching funds for certified local PDR programs. Of the 22 local PDR programs in Virginia, 18 have received local funding over the past few years. To date, more than 9,670 acres on 68 farms in 15 localities have been permanently protected in part with $7.8 million of these funds. Additional easements are expected to close using the remaining funds over the next two years. Localities interested in creating a PDR program or applying for future rounds of grant applications for PDR matching funds should contact the Office of Farmland Preservation at VDACS. They may e-mail Andy Sorrell, the Office of Farmland Preservation Coordinator, at Andrew.Sorrell@vdacs.virginia.gov or call 804.786.1906.